It’s easy to think of a brain injury as a severe physical trauma that presents no dispute about the nature and extent of the victim’s damages. In some cases, a traumatic brain injury will indeed cause permanent disability or even death. In other cases, however, there can be legitimate disagreement about the fact, duration or severity of a given brain injury. In some cases of concussion or other closed head trauma, the symptoms of brain damage can be subtle or delayed. The advice and skill of an experienced personal injury lawyer can make a critical difference in the outcome of such a case. 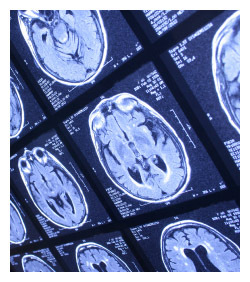 Contact Boston personal injury Attorney Steven J. Topazio if you need help with an accident case involving mild, moderate or severe traumatic brain injury. In situations such as car crashes or motorcycle accidents, where a blow to the head might at first seem unimportant in comparison to fractures or internal injuries, there is a strong possibility that symptoms characteristic of traumatic brain injury are present but undiagnosed, or might develop later as microscopic trauma heals and the scar tissue interferes with normal brain function. Symptoms characteristic of mild or moderate brain trauma include memory loss, change of mood or personality, disturbance in sleep patterns or appetite, headaches, changes in the sense of smell or taste, or the anxiety and concentration that accompanies post-traumatic stress disorder. Sometimes close friends or family members notice these symptoms even before the victim does. Boston personal injury lawyer Steve Topazio works closely with his clients to make sure that your injuries are fully and correctly identified, treated, and documented for inclusion in your damages demand. In mild or moderate brain injury cases characteristic of car accidents or falls on unsafe property, he knows how to prove disputed injuries through lay and expert testimony. In more severe brain injury cases, such as those resulting from truck accidents or falls from heights, there will be no denying the seriousness of the physical trauma, but there might well remain a dispute as to the victim’s prognosis for a full recovery, need for assisted living services or adaptive technology, or future medical treatment needs. Detailed proof of these circumstances in a severe brain injury case will usually be presented through expert witnesses in settlement negotiations and at trial whenever necessary. With more than 28 years of experience with the proof of disputed claims in court, Steven J. Topazio knows how to guide you through the complexities of brain injury litigation, no matter the cause, and no matter how severe. Contact his office in Boston at or contact by email by filling out the contact form on the upper left side of this page to learn more about your legal options.